Built on the latest generation vehicle platform, the new Peugeot Expert benefits greatly in terms of design, efficiency, comfort and safety. Available in three lengths from Compact at 4.60m long, through to Standard at 4.95m long, to Long at 5.30m, there will be an Expert able to fulfill the needs of your business. Capable of carrying payloads of up to 1400kg, the Peugeot Expert has a load length of 3.32m and a 5.1m³ load volume in Compact version. The flexible Moduwork passenger bench provides extra load space at floor level so that you can transport long objects such as piping. Loading the new Expert has been made even easier with hands-free sliding doors that can be operated with a simple swipe of your foot. This means that you can have your hands full and still gain access to the loading area without having to put anything down. The new Peugeot Expert comes with the latest generation Euro 6 engines as standard which deliver exceptional fuel economy and CO2 emissions as low as 133 g/km. 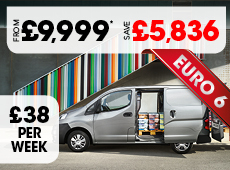 THE EXPERT VAN IS AVAILABLE FROM ONLY £202 PER MONTH. THAT IS JUST £46 PER WEEK! All leasehire payments are subject to VAT. The above package is calculated with a £3,000 + VAT balloon payment . All HP figures are based on All VAT Deposit plus 10%. Payment over 60 months.